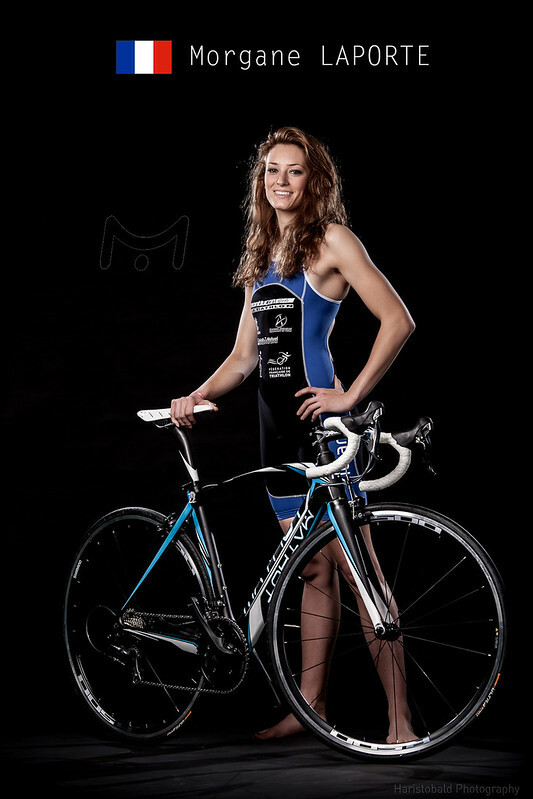 I've been asked by Paul Mathot, the owner of the Mathot Bikes company, to shoot some of the french athletes he sponsors. 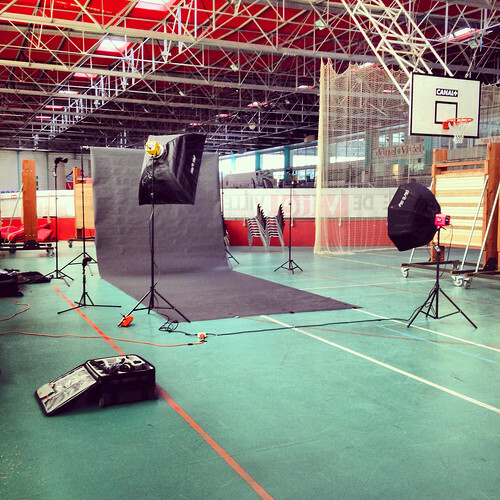 The shooting took place at Vittel, the day before the aquathlon of Vittel race. An aquathlon is a race similar to a triathlon but without the bike part. The particularity of Vittel is that the swimming pool is just near the indoor athletic track. So the athletes swim, get out of the water, put their shoes on, take a few stairs and directly run on the track. Paul Mathot sponsors a few high level triathlon team witch one of them is the Montluçon triathlon team. In that team, there is a girl that will become famous a few month later because she will become miss Auvergne and with that title will compete for Miss France. It's easy to see that she is quite pretty and, I don't know her that much but for what I have see, she looks also smart and friendly. But she can swim, bike and run too and believe me, at a pretty high level. The setup was not that minimalist and for once I bring the heavy gear, my paul buff's alien bees. The main light is the yellow ab800, the pink one is there for controling the shadows. There are two rim/back light witch are two snooted lumopro speedlights. The setup is quite simple. Yet the lights are powerfull. The more power you have, the more versatility you can get. I didn't only shot Morgane that day, I shot a lot of athletes, all sponsorised by Mathot bikes. It was a very fun day for me. The biggest issue with models, and even more if they are not used to modeling is making them comfortable. I directly saw with Morgane that it was not the first time she was in front of a camera. But yet, even if you are used to it, staying in a wetsuit taking poses in front of your team mates is not an easy thing to do and certainly not the best way to feel at ease. Therefore I tried to find a quite out of everybody's way place in the big sport all. I placed big screens between the shooting area and the rest of the place and asked the few spectators to remain relax but calm.